The husband and wife team of Lutsak Valeriy and Lutsak Tetiana fully deserved to be mentioned in our webpage for organizing a successful European Bodybuilding and Physique Sports Championships and the Electoral Congress in the city of Kiev, Ukraine from 24 to 27 May 2013. 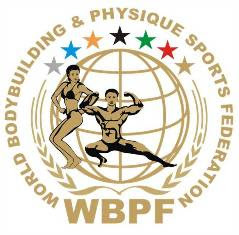 Datuk Paul Chua, Secretary-General of WBPF quoted: “This was my first visit to Kiev and I was greatly impressed with the husband and wife team, they did their very best in taking care of everyone. They are humble and gracious by nature and friendly”. Finalmente, depois de tantas lutas e com a graça de Deus, o espaço foi retomado para a realização do Campeonato Qualify São Paulo, tendo grande contribuição da Liga Paulista, afiliada à CBCM. 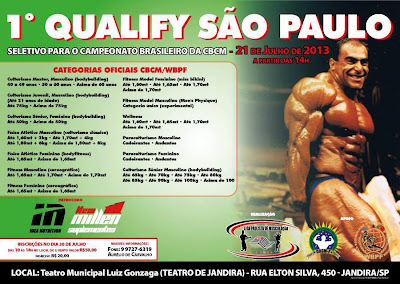 Uma grande vitória para a família CBCM/WBPF. Juntos nós vamos mais longe. These four dedicated young men intend to promote bodybuilding and fitness in Negara Brunei Darussalam to the highest level and would not leave any stones unturned in popularizing the sport. European Bodybuilding and Physique Sports Federation (EBPF) Executive Members Elected at the Congress on 24th May 2013 in Kiev, Ukraine. Picture of the group photo taken immediately after the Congress. 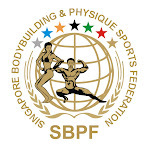 Datuk Paul Chua, Secretary-General of WBPF was the Special Guest invited by EBPF for the Congress and the Championships. The flight of some members were delayed thus they could not make it in time for the Congress. Under the EBPF Constitution and By-laws they were co-opted to the Executive Council.